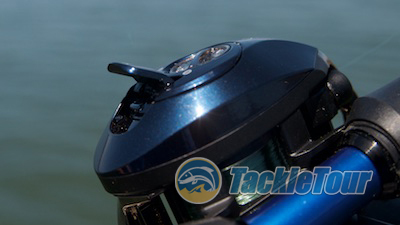 Introduction: It's been some time since we've taken a look at Pfleuger's baitcasting reels. 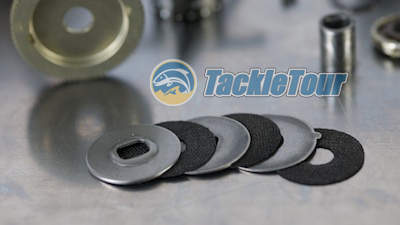 A company's whose stated tradition is to provide the best bang for your buck recently re-imaged one of their long standing low profile reels. We managed to get our hands on one recently, and here now is our review of Pfleuger's Patriarch baitcasting reel. Introducing the Pfleuger's refreshed Patriarch. 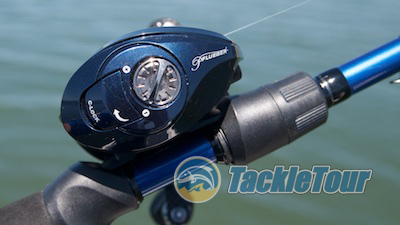 Quality/Construction: Pfleuger's Patriarch low profile baitcasting reel features a stealthy two tone paint job with a matte black finish on the interior frame and a dark blue paint on the sideplates. Tolerances are very tight and clean between all body parts. There's a tiny bit of wiggle on the handle back and forth as well as into and away from the reel and the knobs also have a tiny bit of play in them. Performance: I spooled the Patriarch with 12lb Stren Original monofilament and mounted it on the discontinued Lamiglas Excel II 735 for some action on Lake Berryessa, CA. The Patriarch comes standard with an 85 mm long handle. Retrieve: The Patriarch is available in two retrieve ratios, 7.1:1 and 7.9:1 although the latter is available in right hand retrieve only. It has a nice, 85 millimeter handle that when cranked under load reveals a connected, grindy kind of feel. There's also an audible component to that grind that belies the reel's price point. Drag: We strapped the Patriarch up to The Machine to see how its drag performed under controlled conditions and as you can see in its Sweet Drag Performance Chart below, the reel fared quite well. Max drag peaked out at just over sixteen pounds and while erratic at lockdown, the peaks and valleys were not as dramatic as we've seen with other reels. 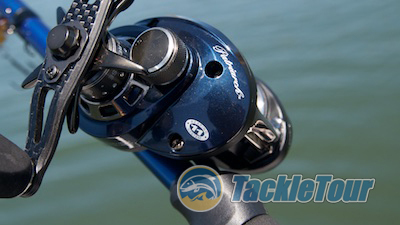 At lower settings, the reel's drag performed very smooth and consistently. 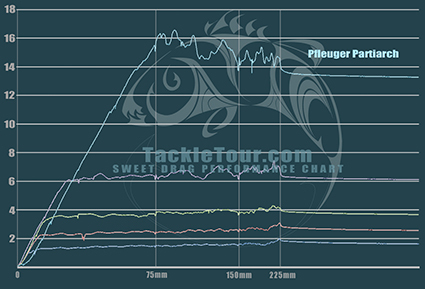 Fig 1: The Sweet Drag Performance chart above shows the consistency in drag performance of our Pfleuger Patriarch Baitcasting Reel. Out on the water, the best I could fare were a few crazed spotted bass to about 1.5 pounds but anyone familiar with these fish knows a 1.5 pound spot can pull like a 4 pound largemouth. The Patriarch's drag performed much the same out on the water - smooth and consistent. The Patriarch's drag stack is extensive. Power: The reel's power is about what you'd expect from something with a high speed retrieve ratio. It's not a reel I'd choose for deep diving cranks nor is it really designed for that purpose. It certainly has enough torque to pull medium and shallow running cranks as well as willow leaf spinnerbaits. 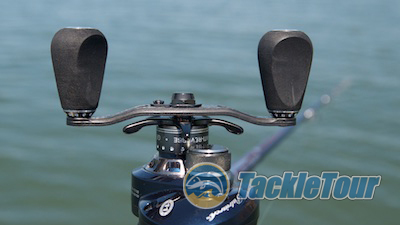 Thanks to its hefty drag, you can fish this reel in heavy cover and still have the power to either pin the fish as you work the boat towards it, or leverage the fish away obstructions with the help of your fishing rod. The non-handle sideplate features a dial to adjust the brakes, and a lever for accessing the spool. The reel's low end pitching range is a bit less and more like three eighths of an ounce with roughly half to three quarters of an ounce being its sweet spot. It is not intended to be a finesse casting reel.